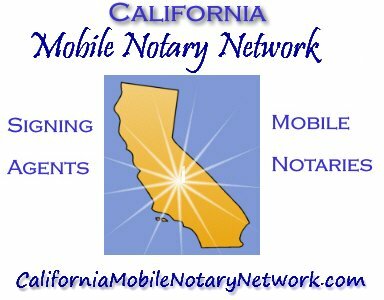 The California Mobile Notary Network is a select group of dedicated professional notaries public providing the highest level of mobile document signing services throughout California. Members of the Network are among the most experienced, knowledgeable and skilled notaries public in the state. When you retain a notary from the California Mobile Notary Network you may rest assured that you are getting the best in the business -- guaranteed. Count on Network members to complete your signings with accuracy, precision and absolute confidentiality. As sole owner and operator of Jewel of the Valley Mobile Notary Public, Jan Kohake has been performing notarizations for Visalia and the surrounding communities for over nine years. She will travel to you for your convenience to notarize your signature(s), whether it be at your place of employment, your home, or at the local coffee shop. There is no notarization too small; her work is 100% guaranteed. And, as a public official, Jan is dedicated to upholding all notary laws set forth by the California Secretary of State. She cannot prepare, draft, select or determine a legal document, nor give any advice pertaining to a legal document, you will need to contact an attorney. Please call 559-647-1481 or go to her website for more information by clicking on her name or a pertinent city, when you are in need of any notarial services. Thanks. With over ten years of experience as a certified notary public and loan signing agent, Kimberly McKendell guarantees a flawless mortgage loan closing from start to finish. Exceptional customer service, attention to detail, reliability and professionalism are what you can expect. Conveniently based in Long Beach, she travels to cities in both Los Angeles and Orange Counties. Kimberly has extensive experience with both commercial and residential loans, e-documents, purchases, helocs, refinances, second mortgages, piggybacks, and reverse mortgages. All notarizations for living trusts, apostilles, medical records, foreign adoptions, title transfers, prenuptial agreements, and power of attorney documents will be completed promptly and efficiently. For premier mobile notary services, give Kimberly a call today! When you need it done right--and right away--call Linda. A full-time mobile notary since 2000, Linda has experience with all types of general notary work and has closed more than 6,000 loans in North San Diego County. With a focus on top-notch, friendly customer service, her familiarity with reverse mortgages, e-signings, powers of attorney, trustee signings and other tricky issues assures that all documents will be signed and notarized correctly. Your electronic documents will be laser printed according to your specifications. Linda's education, experience and attention to detail assure that all notarizations comply with California law. 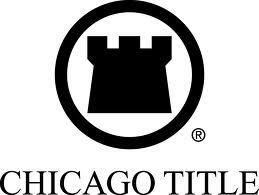 Linda is an approved signing agent for all Fidelity National Title affiliates and guarantees all her work. Sacramento Mobile Notary. Certified Signing Agent and Notary Public since 2003, Sergio Musetti provides prompt, professional, "white glove" service to business and individuals, 24 hours a day, seven days a week. 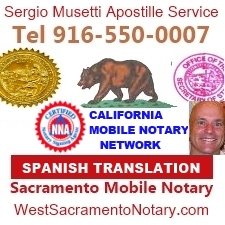 Member of the National Notary Association and the California Mobile Notary Network, Sergio offers his services to attorneys, escrow officers, real estate agents, loan consultants, loan officers, mortgage brokers, hospitals, and the general public notarizing legal, business, real estate, financial, medical, electronic and other documents at your office, residence, or any other location convenient to you, like Starbucks. Corporate filings. 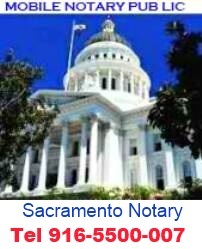 Areas of Service: Sacramento County general notary. Additional services: fingerprinting, Spanish translation and interpreting. 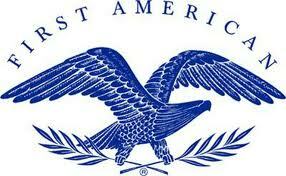 Apostille Service. 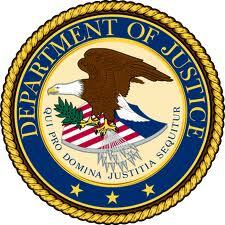 Legalization of documents to use outside United States. 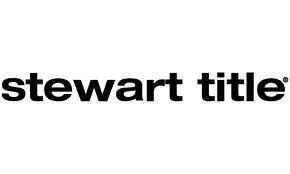 Source of Title. An experienced, polished professional, Janet Berger offer courteous, reliable loan document signing and mobile notary services in English and Spanish. She's been a notary public for ten years since 2000 and a full-time signing agent since 2002. She has personally successfully completed thousands of loan signings, including refinance transactions, purchases (buyer, seller, cash, short sale, REO), HELOCs, reverse mortgages, structured settlements, timeshare properties, auto loans, etc. -- and she guarantees her work. Janet is very familiar with estate plan documents and has extensive experience with all kinds of general notary work. Based in Lake Forest, she is centrally located to travel to all of Orange County. loan documents and current notary law, but is responsive to your needs, attentive to detail, careful about confidentiality and who treats every signer with respect and consideration. Fidelity Approved Agent...and THE best of the best Notary Loan Signing Agents on the Central Coast of California for your white glove loan signing requirements. Cheryl provides a professional, reliable, error free experience with your valuable clients that guarantees an accurately signed loan, every time. Co-author of "How To Become A Wildly Successful Loan Signing Agent". Providing 24 hours 7 days a week personal service by appointment. E-signing certified; e-mailed docs accepted for same day signing. Cheryl has a laptop with air card and does travel the California Central Coast. 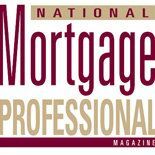 Professional fully training Signing Agent qualified in all types of loan closings, residential, commercial and reverse mortgage products. Loan packages can be accepted in all formats. Highly Competitive Rates. Top Drawer Concierge Service! Since 2002 Jeanne has been a full-time mobile notary and loan signing agent. She has successfully signed thousands of loans, including refinances, HELOCs, purchases, sales, reverse mortgages, commercial loans, modifications and automobile loans. She has a great deal of experience in estate planning documents, POA's, Advance Health Care directives and all types of general notary work. With over 9 years experience serving the beautiful Coachella Valley, Jeanne guarantees her work and takes pride in attention to detail. She provides professional, reliable, ethical notary services and is available to travel to your home, office, hospital, or mutual meeting place. Appointments are preferred; however same day service is also available. Jeanne is a member of the National Notary Association, background screened and a Certified Loan Signing Agent. She is bonded and insured. Ron Adams, owner of Ron's Mobile Notary Service, has been a notary public since March 2006. Being a retired Imperial County Deputy Sheriff (17 years) and a former California Highway Patrol Officer (17 years), Ron is very detail oriented and strives to provide the very best notarial services possible. His area of coverage includes all of Imperial County and remote areas of eastern San Diego and Riverside Counties. Ron has successfully completed several hundred loan document signings for many signing services and title companies with an emphasis on accuracy. For any notarial needs within Imperial County, do not hesitate to give Ron a call at (760) 554-8275. Knowledge, accuracy and dependability are the attributes you can expect from Ron's Mobile Notary Service. The timely closing of your loans is my highest priority! I can facilitate a wide variety of loans including refi’s, deeds, first mortgages, investment properties, powers of attorney as well as affidavits and equity lines of credit. I currently provide loan signing services to Title Escrow companies, lenders, signing agencies and the general public in Marin County. I perform each job with the highest level of professionalism, skill and precision so that you obtain the results you desire. E-doc packs are welcome. I am reliable, punctual, always professional and client-friendly! I look forward to talking with you soon. Patricia has been a commissioned California Notary Public since 2005. Her strong business acumen, professionalism, and past experience working with the public in customer service has provided her with the necessary skills required to be a successful Notary Public. She is knowledgeable and experienced in all aspects of mortgage loan documents and serves the greater public as a traveling mobile notary. She is a member of the National Notary Association, has been background checked, and carries $100,000 E & O coverage. Additionally, Patricia offers rush Apostille service and carries an electronic seal. If you are looking for quality work with white glove service, please give her a call. Patricia serves the greater Sacramento area, El Dorado County and much of Amador and Placer Counties. Key cities: Placerville, Eldorado Hills, Folsom, Citrus Heights, and Sacramento. 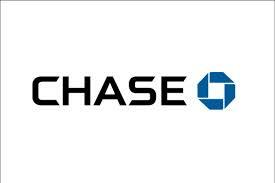 I have 8 years of experience, NNA certified, 2013 NNA background checked, and certified loan closing specialist. Notarizations include loan packages, advanced health care directives, DMV paperwork, structured settlements, trusts, powers of attorney, permission to travel for minors, and more. I refer all of my clients and escrow officers to Janet. She has always been a professional in every sense of the word. Loan document signing is a very critical process and Janet's knowledge of the process and details really helps the clients feel comfortable that they are dealing with someone who not only knows what she is doing, but who also cares. I have been very pleased with the outstanding notary work that you have provided for me and my clients. You are a true professional and I will continue to refer as many clients to you as possible. It is very comforting to know that I can refer clients to someone who really cares about my reputation, and most of all, cares about the client. 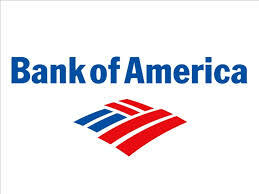 Donna N. ~ Area Manager, Senior Financial Corp. Thanks again for your extraordinary work on the loan signing. Would that all notaries were as committed and professional as you. We look forward to working with you in the future. In the midst of a very busy day my husband and I had to have some real estate papers notarized, and Sheila was flexible to meet us and walk us through the process with professionalism and guidance. I would recommend her to anyone. And I have already introduced her to friends who can refer business to her. The Michigan Mobile Loan Closers Network is an invitation only collection of the finest full time notary loan signing agents in the State of Michigan. 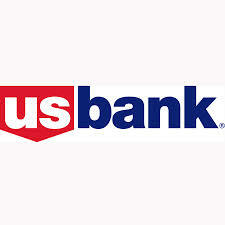 Members are the most experienced, knowledgeable, and skilled independent mobile loan closers throughout Michigan. MMLCN members have the collective experience of thousands of mobile signings of all types, spanning decades of experience across the industry. We are a network of Notary Signing Agents covering all 88 counties in Ohio to serve your Mortgage Witness Closings needs. All Signing Agents have been pre-qualified and are independent contractors and free to work for whomever they choose, at whatever price they negotiate. Agents listed here were "invited" based solely on what they bring to the profession. This is NOT a paid listing referral website, so there are no fees to be a member. We are not a signing service. Please work with our members directly! 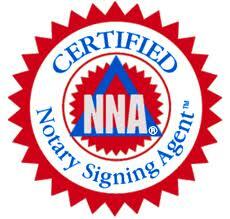 TheTexas Notary Signing Agent Network is a professional network of qualified and experienced notary signing agents serving the needs of mortgage lenders, title companies and premier signing services. 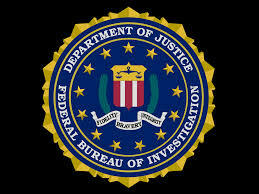 The NSA you hire from this list has one year of experience or has successfully completed 100 or more closings. The Wisconsin Mobile Notary Loan Closers Network (WMLCN) is a group of experienced mobile notaries with a strong loan signing background. The network was formed in response to repeated requests from Title Companies for names of experienced mobile loan closers throughout Wisconsin. We currently have members in many counties and cities in California. We are actively recruiting new members in underserved areas with a goal of providing statewide coverage. If you are an experienced notary who has completed at least 500 loan signings and would like to be considered for membership in our network, please read our Membership Agreement, then complete the form below. You will be contacted within 7 days to acknowledge receipt of your submission. All members must be approved by the network. We respect your privacy; your information will not be not shared outside the network.